Indian Ridge Country Club. Golf Indian Ridge. Indian Ridge golf course details and information about Indian Ridge Country Club in Palm Desert, California. Indian Ridge Golf Club is a private equity membership golf club in Palm Desert California. 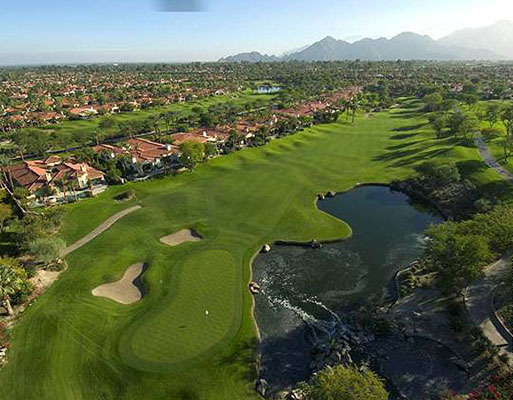 In one of the desert’s premier communities, Indian Ridge golf courses are in a beautiful location. When you golf at Indian Ridge you are surrounded by trees and mountains. Completely member-owned and member-operated, Indian Ridge Palm Desert is one of the most prestigious golf clubs in Coachella Valley. The Indian Ridge Country Club also has tennis facilities, a fitness center, a full-service day spa, two restaurants, and a full social calendar. Once you enter the gates, you will discover luxury.